Loving God’s people through the love of the Father Almighty. The purpose of Spirit Filled Hearts Ministry is to spread the gospel of Jesus Christ and build up the Church by spreading the Good News through the New Evangelization, teaching on the power of the Holy Spirit and using the healing power of the Lord to restore His people spiritually, emotionally and physically. At the center of the ministry is God’s love. Deacon Steve Greco is a dynamic speaker and author. He is a man of vibrant faith with the charisms of healing and teaching rooted in his deep love and knowledge of the Word of God. Deacon Steve Greco is a dynamic speaker, author and founder of Spirit-filled Hearts Ministry. Deacon Steve is a man of vibrant faith with the charisms of healing and teaching rooted in his deep love and knowledge of the Word of God! His fatherly heart embraces each soul he touches with God’s tender mercy and love! Our Lord moved Deacon Steve to found Spirit -Filled Hearts Ministry in order to serve and spread the good news of Jesus Christ! Deacon Steve gives talks and healing services throughout California and the United States in many parishes and Catholic conferences and radio. He currently is host of a weekly radio show, Empowered by the Spirit heard on Relevant Radio, Sundays at 12PM and ESNE Radio on Sundays 9PM. He has been married to his wife Mary Anne for 45 years and they have three children and four grandchildren. He has published 365 Days of Praise, Reflections on the Holy Spirit, and Expect and Experience Miracles. Mary Anne and Deacon Steve have been married for 46 years. They have three children and four grandchildren. She is a women’s Bible study leader. Mary Anne is a women's bible study leader. She graduated from the Catholic Bible Study Institute and upon completion has been teaching Bible studies for over 15 years. She has received her Master Catechist degree. Mary Anne teaches Bible study for women at St. John Neumann in Irvine and St. Elizabeth Ann Seton in Irvine. She also organizes pilgrimages, “In the Footsteps of Jesus” in the Holy land and “In the Footsteps of St. Paul” in Greece and Turkey, Egypt and Marian sites. Mary Anne loves the Lord and teaching others about the Holy Spirit. She enjoys presenting teachings at retreats and for organizations. Photography is another interest she pursues and Mary Anne. Mary Anne believes there are unlimited ways to serve the Lord and His people. One just has to keep an open heart and be ready to serve! To contact Mary Anne about the pilgrimages, you can use the form below. Katie grew up with a faithful family that led her to live out God's plan for her life. She manages the ministry website and helps with the planning of Spirit Filled Hearts events. She is eager to share the love and word of God with those whom she encounters. Michael Aimola is the Vice President of Spirit Filled Hearts Ministry. He is also the the producer of Empowered by the Spirit radio show hosted by Deacon Steve Greco. He volunteers extensively at his parish St. Elizabeth Ann Seton in Irvine California. He is married to his wife Mary and enjoys spending time with her and his four children and three grand children. Three time Unity Award winner Donna Lee started playing guitar and singing at the age of seven. In 1972, she joined the folk group at her local parish where she sang and played guitar for 11 years. At the age of 15, she wrote her first song for a Catholic youth retreat. Rod and Maria lead Spirit Filled Hearts prayer meetings. Their passion for evangelization comes through in their worship leadership and anointed talks. They are heavily involved with parish activities at St. John Neumann Catholic Church in Irvine. Their children lead the young adult worship band for our prayer meeting. Three time Unity Award winner Donna Lee started playing guitar and singing at the age of seven. In 1972, she joined the folk group at her local parish where she sang and played guitar for 11 years. At the age of 15, she wrote her first song for a Catholic youth retreat. Her debut album, “Immaculate Heart, O Sacred Heart,” was released in 1990, and was well received by all ages. Since then, she has recorded several albums of mostly original music. Her CD, The Grace of God received three Unity Awards from the United Catholic Music Video Association. She is currently working on her 10th studio album. 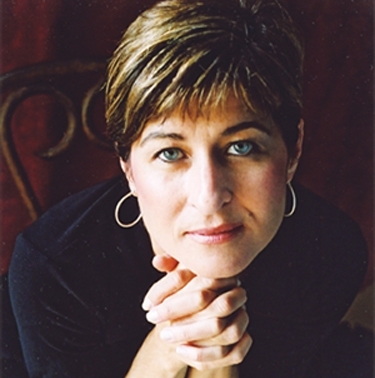 Donna’s music ministry focuses on Pro-Life, Reconciliation, the Eucharist, and Divine Mercy. She also has a special devotion to the Blessed Mother. She has written many inspirational songs that tell the story of her faith journey that brought her back to the church. Some of the highlights of her ministry were singing in concert at the church of Saint Padre Pio, Santa Maria della Grazie in San Giovanni Rotundo, Italy and performing with Tony Melendez. She also had the opportunity to perform concerts in five different cities in Portugal for Youth 2000 and in Aylesford, England, as well as singing and speaking at conferences and festivals in Canada, Australia, New Zealand, Italy, Spain, Switzerland, Holland, Mexico, and Brazil. Donna Lee is one of the founding members of the Catholic Association of Musicians started by John Michael Talbot in 1996. Her music can be heard on several Catholic radio stations across the United States, Canada, Europe, and South America. She is a regular on Catholic Familyland TV and recorded two segments for EWTN’s show, “Backstage”. She has also been involved with the Magnificat “A Ministry for Catholic women” since 1990, providing praise & worship and as guest speaker for several chapters between California and Arizona. ROD AND MARIA VILLANUEVA Rod Villanueva is an energetic and enthusiastic leader and speaker for Spirit Filled Hearts Ministry and Couples for Christ Family Ministries. He is an anointed Praise and Worship leader and speaker who leads prayer meetings and speaks at events and retreats. Through his ministry work, Rod assists individuals grow spiritually stronger and points them to our Lord and Savior, Jesus Christ. Maria Villanueva is an inspirational speaker and leader for Spirit Filled Hearts Ministry and Couples for Christ Family Ministries. She enjoys giving talks to spread God’s Word, love and hope to people of all ages from kids, youth, young adults, singles and married couples. She found her love of teaching when she started volunteering as a catechist and taught Kindergarten, 1stgrade and 2nd grade for nine years. It is through attending Spirit Filled Hearts Prayer Meetings that she followed a calling to help others with their faith. Rod and Maria currently serve at St. John Neumann Church in Irvine as Eucharistic Ministers and are part of the Pastoral Council. They have two children, Tiffany and Ryan, who are musically gifted and serve at St. John Neumann Church and also help with music ministry for Spirit Filled Hearts Prayer Meetings. Bio Fr. Benjamin Tran felt the “nudge” to the priesthood during high school and applied to Queen of Angels high school seminary in San Fernando, CA. After graduating, he decided to explore other aspirations and went to Orange Coast Community College in Costa Mesa and transferred to Cal State Fullerton, CA. During his 3rd year in college, he experienced an incredible spiritual awakening that propelled him to seriously reconsider the call to the priesthood. After a time of prayer and discernment, he applied to St. John’s Seminary College in Camarillo, CA where he completed his undergraduate studies and continued on to receive his theological degree at St. John’s Theology. He was ordained on June 10, 2006. Since then he has served as a priest for the Diocese of Orange in various parishes and was assigned to our parish of St. Anne on July 1, 2015. 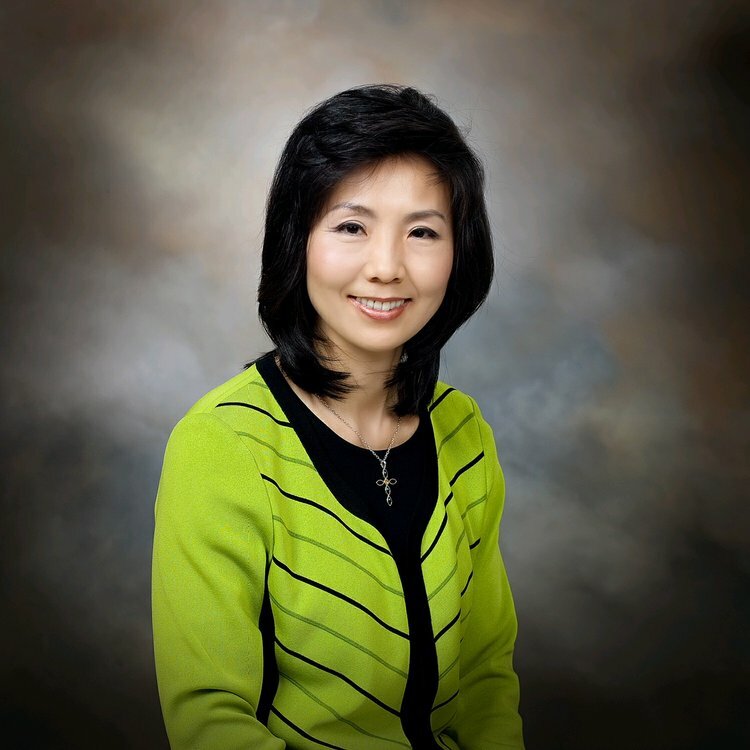 Dr. Elizabeth Kim received a miraculous healing at the Korean National Charismatic Healing Service in 1978 and immigrated to the U.S. with her family the same year. Dr. Elizabeth Kim received a miraculous healing at the Korean National Charismatic Healing Service in 1978 and immigrated to the U.S. with her family the same year. A distinguished USC (University of Southern California) graduate, Dr. Kim is a licensed psychologist, marriage and family therapist, and board certified Neurofeedback practitioner whose practice integrates the Catholic Faith with psychology in the treatment of children, adolescents, and adults with childhood trauma, abuse, depression, anxiety, ADHD, marriage and family issues. Dr. Kim is a director of the Brain Fitness Center in Los Angeles, California. Her multi-ethnic, dynamic practice is the perfect setting for her vast experience in the healing arts which she places under the Lordship of Jesus, the Healer. The Divine Physician has truly helped countless numbers of people through this humble servant. Dr. Kim has served the Church in various positions including Youth and Healing ministry and as a speaker at international conferences. 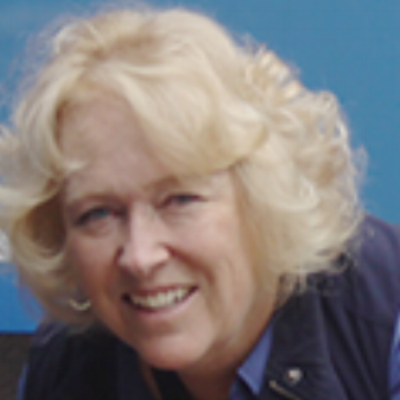 She serves on the Board of Directors for Southern California Renewal Communities. She also is the assistant coordinator for the Orange County (CA) Magnificat chapter. Dr. Kim's love and zeal for spreading the Good News brought her to speaking at various Magnificat chapters. Her testimony has aired on EWTN Radio, and she has appeared on Johnnette Benkovic's EWTN's TV show Women of Grace.